[ K-Travel ] Key Point for Changdeokgoong Palace Tour in Seoul! A UNESCO World Cultural Heritage, Changdeokgoong Palace Complex including its Secret Garden!Changdeokgoong Palace and the secret palace is a must-see location within Korea. More than a thousand people visit this famous place. Let us introduce you about this must-see venue in Chandeokgoong Palace. 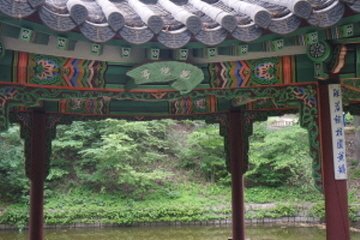 Changdeokgoong is located within a large park in Jongno-gu, Seoul, South Korea. 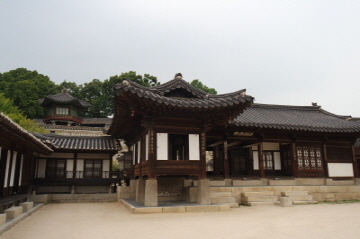 It is one of the "Five Grand Palaces" built by the kings of the Joseon Dynasty (1392?1897). As it is located east of Gyeongbok Palace, Changdeokgoong along with Changgyeonggung, it is also referred to as the "East Palace"
Changdeokgung was the most favored palace of many Joseon princes and retained many elements dating from the Three Kingdoms of Korea period that were not incorporated in the more contemporary Gyeongbokgung. 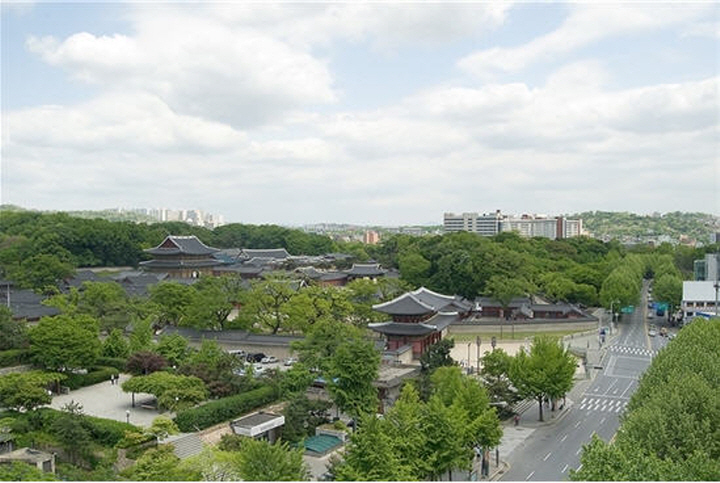 One such element is the fact that the buildings of Changdeokgung blend with the natural topography of the site instead of influencing too many changes upon it. The official and residential buildings that make up the complex were designed in accordance to the principle of the traditional palace layout. The buildings and structures include three gates and three courts (an administrative court, royal residential court and official audience court), with the residential area in the back of the administrative area, it reflects the principles of ‘sammun samjo (三門三朝)’ and ‘jeonjo huchim (前朝後寢)’. 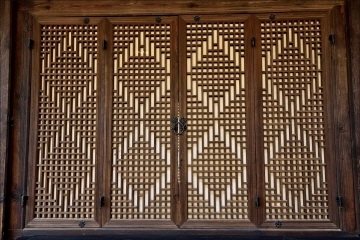 The buildings' construction is of wood and set on stone platforms, and the tiles on the roofs are designed with corbelled multi-bracket system and ornamental carvings. 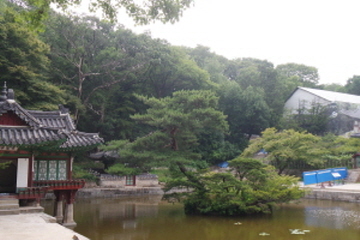 The garden landscape is displayed with a series of terraces planted with lawns, flowering trees, flowers, a lotus pool and pavilions set against a wooded background. There are over 56,000 specimens of various kinds of trees and plants in the garden, including walnut, white oak, zelkova, plum, maple, chestnut, hornbeam, yew, gingko, and pine. 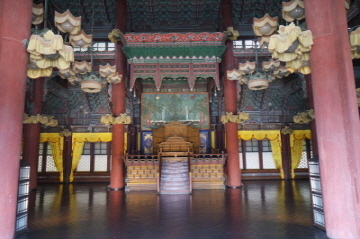 In the midst of strife for the throne between princes and vassals, authority of Gyeongbokgung was deteriorated. 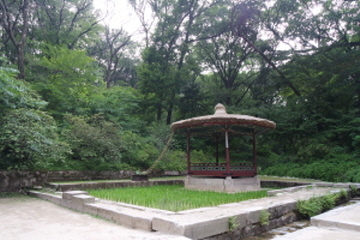 King Jeongjong enthroned by Prince Jeong-an (Yi Bang-won, later became King Taejong) moved the capital to Gaegyeong, one of Goryeo Dynasty, again in 1400 in the pretext of superior geographical features of it, in fact, in order to avert the power struggle. 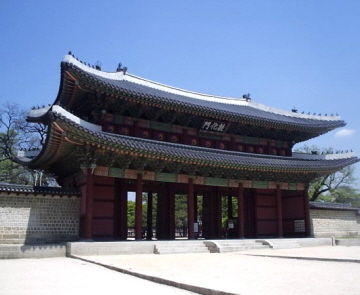 The Palace was burnt to the ground during the Japanese invasion in 1592 and reconstructed in 1609 by King Seonjo and King Gwanghaegun. 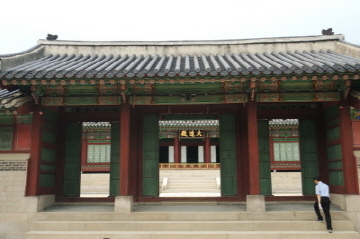 The palace burnt again in 1623 because of King Injo a political Revolt against Gwanghaegun. The palace was also attacked by the Manchu Qing but throughout its history of reconstruction and repair has remained faithful to its original design.